You should not have to compromise quality services or affordability when it comes to your dental care. At Artistry Smile Center, we believe you should enjoy both when visiting your dentist in Upper Arlington. We provide the state-of-the-art services your smile depends on while working with your insurance to reduce the amount you need to pay out-of-pocket. No matter if you are in-network or outside of your coverage area, we help you achieve the healthy smile you deserve while staying within your budget. You have access to your benefits for 12 consecutive months after enrolling in your policy. It expires at the end of the year. Any unused coverage does not carry over for accumulation, and you are not reimbursed for any unused funds. 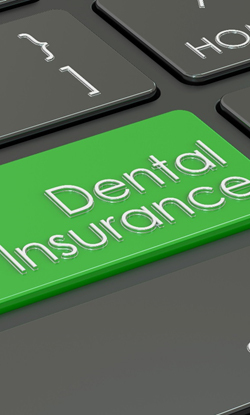 Dental insurance differs from medical insurance because it is designed with prevention in mind. Keeping your teeth and gums healthy reduces your long-term dental costs because it lessens the need for an invasive or expensive treatment in the future. Research shows every $1 spent on prevention can save you $8 to $50 on restorative or emergency care. We focus on prevention to ensure your smile stays healthy and beautiful for a lifetime. Your insurance carrier gives you the option to visit an in-network or out-of-network dentist. We work with both types of patients to help you maximize the value of your insurance policy to reduce the amount you need to pay. You can visit any dentist of your choosing, even if they are outside of your network. We proudly work with patients who are out-of-network. You can still use your insurance, but you will need to pay the difference between our fees and your insurance’s allowable coverage. Nothing should stand in your way of getting exceptional dental care, not even your finances. We work on your behalf with your insurance company to file the necessary claims and paperwork, so you have one less thing to worry about. We help you maximize your annual coverage to ensure nothing is wasted. If you have questions about your insurance or need to schedule an appointment, we are only a phone call away. Contact Artistry Smile Center today to speak to a member of our team. We look forward to helping you achieve a healthy, beautiful smile.